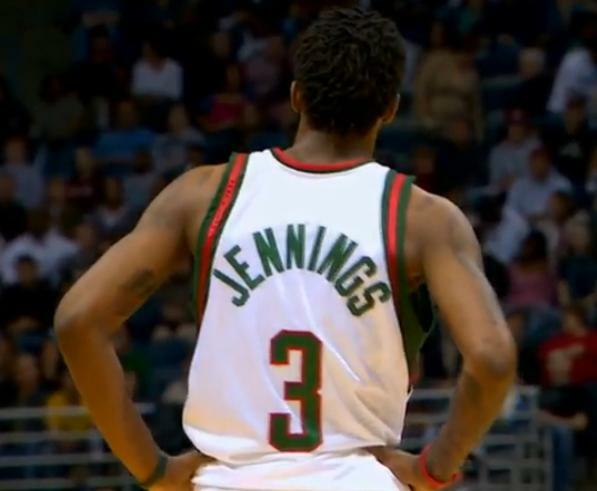 It's getting to be the home stretch for our Milwaukee Bucks and the Bucks are making their playoffs push. Due to the NBA lockout, the regular Milwaukee Bucks season will last a little bit longer than usual. However, we're hoping it will last a lot longer because of the playoffs. Our Milwaukee Bucks are two games behind the New York Knicks for the eighth seed in the Eastern Conference. A win in New York on Monday night would have been huge for the Bucks, but last night's win against Atlanta was a step in the right direction. How about Monta Ellis's 33 points? Finally, the new Buck is showing us his talent! Also, the Milwaukee Bucks will have one more chance to defeat the New York Knicks for once and for all. On Wednesday, April 11th, the Knicks return to the Bradley Center for one more game. Maybe that's when the Bucks will nab that playoff spot!